It’s that time of year again: Time to find the perfect gift for the writer in your life. I’m one of those writers that’s easy to shop for: A nice, fat Starbucks gift card will keep me in lattes and pastries for months. Anything that enables my Starbucks habit is good enough for me. • One can never have too many tote bags, right? 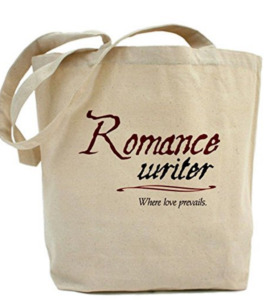 This one simply says “Romance Writer. Where Love Prevails.” The heavyweight canvas tote measures 15-by-18-by-6 inches and boasts a 22-inch reinforced fabric handle. The product description insists it’s sure to meet all your reusable shopping bag needs. I write. What’s your superpower? It’s a good day to write. This Banned Book mug, featuring the best books once thought too scandalous or subversive to read. I’m a writer. Therefore I am not sane. And this one: English major. YOU do the math. Another thing writers can never have too many of? NOTEBOOKS. I’m rather fond of this one, with its cover declaring “Some of my best friends are fictional” and this one saying “my voices are telling me to write.” But some might prefer one with a plain leather cover or this beauty. • As a writer struggling to balance the day job with the writing life, this book sounds mighty appealing. “Writer with a Day Job: Inspiration and exercises to help you craft a writing life alongside your career” by Aine Greaney promises “advice, skill-building techniques, prompts, and exercises in every chapter, and strategies on how to get and keep writing while also working the 9 to 5 grind.” It’s a paperback, and sells for $12.49. • This water bottle speaks to both my copy editor side and the (small, stunted) part of me that wants to get healthier in 2017. 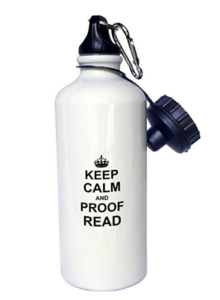 The Keep Calm and Proofread water bottle is made of stainless steel, holds 20 ounces and comes with two lids — one standard cap and an “easy-flow” drinking cap. Only $8.99 (+ $1.01 shipping). 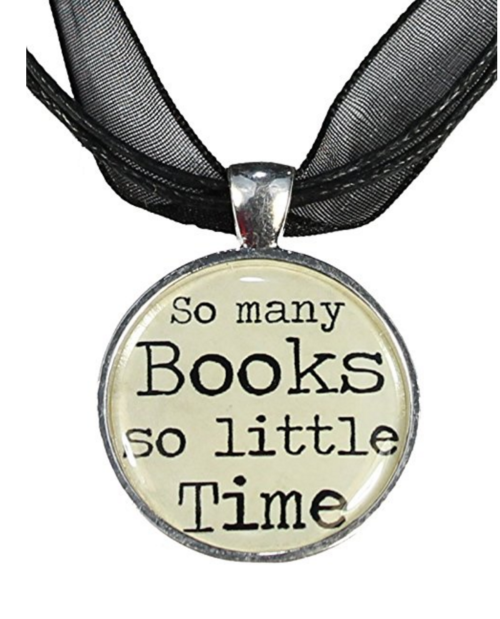 • With dozens of designs, there’s likely a pendant that’ll fit your favorite writer’s personality. The one at left is one of my favorites. There’s also Born to Write and Girls who read are dangerous. 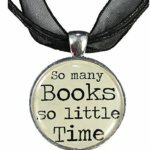 If none of those ideas hit a home run with you, the gals at Ruby Slippered Sisterhood served up 8 handmade gifts for writers and other book lovers. Still stumped? This list from The Write Life has 22 more awesome ideas.